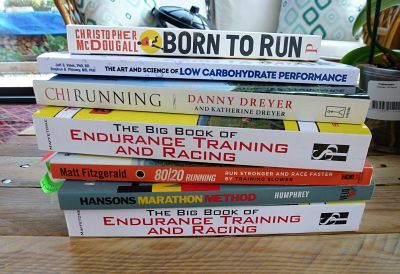 Below is a selection of my best running books. I'll keep adding to this list so come back every now and then to check. Why are they my favorite running books? Because they inspire me and they teach me something. Born To Run is a non fictional account about a journalist/runner who in his quest to cure a running injury to his foot, finds himself in Mexico running with the Tarahumara Indians. Not only that he ends up running in one of the most epic races of his life. This book also questions whether man was created to run and it will make you question the need for all that expensive running gear that you own. It is a captivating read that keeps you wanting to know what happens next. I also liked the fact that Christopher McDougall is not an elite athlete but a regular runner like the majority of us. I found it a fascinating and interesting read, although I'm not quite ready to throw away my comfy trainers. A few years ago I was spending so much time injured on the sidelines that I decided to do something about it - I bought this book. If you are interested in low heart rate training, improving your aerobic base (or understanding what it is and why it is important), cleaning up your diet and reducing body stressors, than this book will cover all of that. The core of the book is about being healthy and injury free, whilst being the best athlete that you can. Phil Maffetone has a great way or writing and makes what might be complicated science, understandable to the regular person. The book is interspersed with real life stories as well as lots of information about 'why' and 'how' so that you really understand the logic of low heart rate training and fitness. The section on "Low Carb High Fat" eating was a real eye opener to me and after reading it, it makes so much sense on why we are not healthy as a population. This book is not just for runners but for all those who have an active lifestyle. It was this book that encouraged me to change my training methods and my diet and I have not been injured since. More reviews on Endurance Training and Racing. I bought The Art and Science of Low Carbohydrate Performance after having read Phil Maffetone's book on endurance training and the benefits of a low carb diet. Although Phil Maffetone covers diet and nutrition in his book (above), this book goes a step further and explains it in more detail. If you are struggling with insulin resistance, have type 2 diabetes or want to reap the benefits of low carbohydrate eating, then read this book! I must admit I have (and still do at times) struggle eating low carbs, but this book is full of recipes and logical advice about how to change your diet. I have read it 3 times now and each time I glean new information. It is not a big book but it is worth taking your time over it. Chi Running is another book that I bought when I was struggling with running injuries and I am so glad that I did buy it. It shows you how to run faster but with less effort and how to dramatically reduce your likelihood of injury. After reading the book, I realized that I was making some fundamental mistakes in my running style and posture. 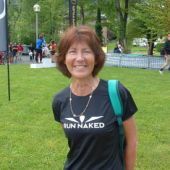 With a few tweaks both physically and mentally, my running changed dramatically. Not only did my body feel stronger but I was faster too. This book is not a quick fix. Take you time reading it and then take your time implementing the changes. If you can, watch the Chi Running videos too and also look at yourself in the mirror when adjusting your posture, as that really helps. If you are often injured, spend a lot of your training running fast and furious and yet find that your race times are not improving, then 80/20 running might be worth reading. Matt is a runner and coach and believes strongly in running easy for 80% of the time and doing faster/harder workouts for 20% of the time. No more and no less! I used this book when I was training for a half marathon and I beat my best time by 2 minutes. Everything is explained really clearly plus there are training plans for all distances from 5km to marathon. Basically everything makes sense. His writing style is clear and he makes you want to get started right away with a training plan. The only thing I struggled a bit with, was calculating my heart rate zones as I didn't quite understand the instructions. I got there in the end though! Hansons Marathon Method. Back in 2014, I decided to run my first marathon. I had only been running for a couple of years but I decided I wanted to give a marathon a go. The authors of the book are the 2 Hanson brothers who run a very successful running academy and Luke Humphrey, an exercise physiologist I like to have a training program and I wanted to do my best, so I bought this book. In it were several training plans and I picked the "Beginner" plan. Before you even start the training, there is a lot to read. It really pays to read it and to understand how the training impacts your body, the importance of each prescribed workout and the importance of rest and also accumulative fatigue. It is a treasure trove of knowledge and it really makes sense on why you are doing a run in a certain way. This book promises to give you the best chance of achieving a personal best. In my case it would certainly be a personal best. However 10 weeks into training, it all went wrong. I got injured. 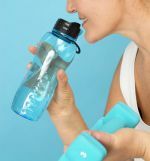 The training plan was too intensive for me (running 5 - 6 days a week) and I had not taken on board the importance of running "easy" on the prescribed days. I learnt a valuable lesson in that you really need to listen to your body, especially as you get older, and to also be flexible. I was so intent on getting a fast time that I overlooked everything else. However I would definitely recommend this book if you like to train doing intervals, speed workouts and like a very prescribed training plan. I would say though that even the beginner level is too hard for a first time marathoner unless you are already pretty fit so bear that in mind. I have read lots of accounts of runners getting a personal best with this method so it does work, but just be careful.